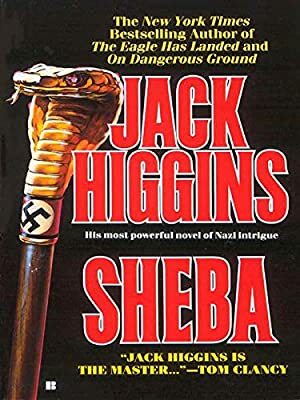 Author: Higgins, Jack Set In . . . Description: From the New York Times bestselling author of The Eagle Has Landed comes another thrilling novel of World War II intrigue. When archaeologist Gavin Kane is hired to find a woman’s missing husband, he follows the man’s trail into the ruthless desert of Southern Arabia and makes two shocking discoveries. One is the legendary Temple of Sheba, an ancient world as fantastic as King Solomon’s mines. The other is a band of Nazi soldiers who plan to turn the sacred landmark into Hitler’s secret stronghold. Kane’s discovery could change the course of the war—but what he knows just might get him killed first.